I never thought I'd be the type of mom that makes her own baby food. I just imagined it to be hard or time consuming. But guess what! It's so easy! You can just mash up bananas and avocados and serve. Other stuff requires steaming or baking but it's still super easy and fast. I've been cooking up all sorts of fruits and veggies for Sweet P. And I love it. Who knew making baby food could be so much fun? 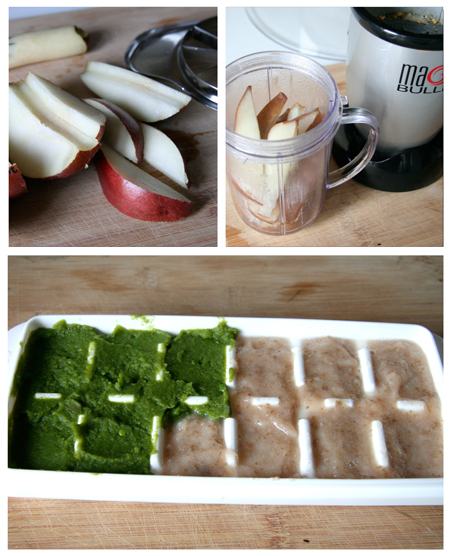 This weekend I made her some pear puree and sugar snap pea puree. 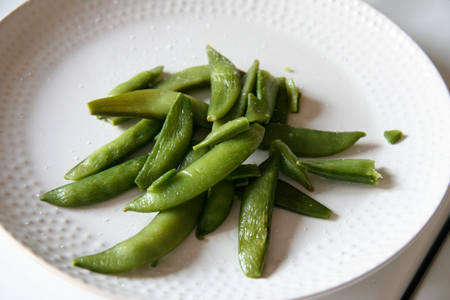 By the way, have you ever tried steamed sugar snap peas with a little sea salt? So good. All I did was steam the peas and pears. 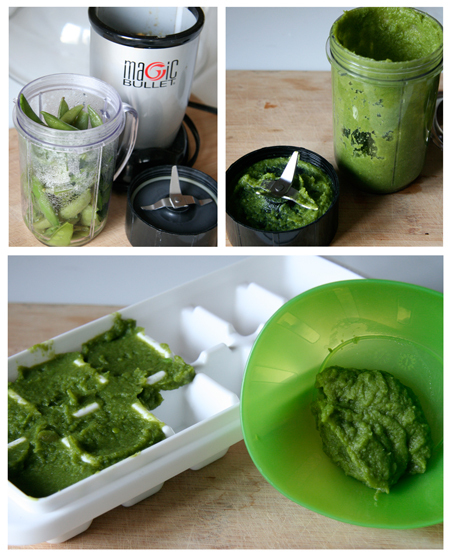 Then I just put them the magic bullet (separately) until they were creamy and transferred the puree to an ice cube tray. Done, easy and it actually tastes good. Now all I have to do is thaw a cube and add a little seasoning for a little snack! "the type of mom that..." so what exactly is the type of mom that makes her own baby food. I feel like I should be offended by this post in some way. I guess I am 'that type'...and now you are too. Hey, take no offense to it. "The type of mom that..." is like super-mom! I always brag on your awesomeness at doing everything and just never thought I'd be like that. So, take that. It's a compliment!